On June 30, Mets manager Terry Collins sent left-hander Steven Matz to the mound to face the Chicago Cubs. Matz turned in a modest performance, striking out six in 5 1/3 innings while surrendering two homers. Not a terrible outing, but a club as offensively challenged as the Mets can only afford so many starts like this. What made the outing of more than the usual interest was that this was Matz’ first appearance after the world learned he had a bone spur in his left elbow. Bone spurs are not generally in and of themselves debilitating, but they can inflict significant pain. And since pain is your body’s way of saying “don’t do that again, you stupid git,” the pain a bone spur causes may in turn cause other changes to the pitcher’s usage patterns and delivery. Those changes might end well, or they might not. A cascade of other injuries and mechanical problems can follow. So a bone spur presents player and team with a choice: the player can pitch through the injury, at reduced and perhaps increasingly decaying effectiveness, or opt for surgery, which resolves the problem but sidelines the player for several months. In Matz’ case, surgery could doom his season. If Matz were an entirely independent actor, surgery would seem the rational choice. Like all players, Matz’ overriding goal is to get The Contract: the multiyear 7-8 figure deal that will provide financial independence for Matz and his family for as long they subsist on this benighted orb. (Matz will tell you his overriding goal is to win a World Series, but that’s probably number two on his list.) By skipping the rest of this season and coming back healthy next year, Matz probably boosts the odds of making it to The Contract before critical elements of his body begin to rebel. But Matz is not truly independent: the Mets organization, his teammates, and Baseball Tradition all exert substantial influence. Peer pressure may play a significant role here. Even John Smoltz, one of the most intelligent minds in baseball broadcasting today, discussed Matz’ bone spur (and Noah Syndergaard’s apparently smaller one) in a recent Fox broadcast with the quit-whining-and-rub-some-dirt-on-it machismo that would hardly have been out of place a century ago. Smoltz said the pitchers can deal with bone spurs by changing their pitch selection, and there is some evidence Matz is doing just that. He used his slider at a 15% clip in April and May; in June he abandoned it. His velocity, however, is essentially unchanged, and he’s using his other pitches more or less as he always has. So maybe Matz is reacting to the pain, maybe not. But he would certainly pay a price if he seemed to be reacting in a highly visible way. For all the analytical advancements of the past quarter-century, players are still expected to suffer in silence. Those who don’t may “lose the manager’s trust,” and have fewer opportunities to establish that they merit The Contract. I’m no fan of conformity, but it is sometimes the economically rational decision. Mets’ GM Sandy Alderson views the Matz dilemma through a substantially different risk-assessment prism. As long as the Mets have a good shot at the playoffs, Alderson has little incentive to see Matz hit The List for any significant length of time, at least unless and until his performance seriously deteriorates. The supposedly pitching-rich Mets have nothing behind their current top five starters. No, not even Rafael Montero, who is putting up a 6+ ERA in Las Vegas this year. What stinks in Vegas stays in Vegas. Further concentrating Alderson’s mind are the Mets’ playoff odds. This is a borderline playoff team; FanGraphs says the Mets have a 56% chance of making the playoffs, but most of that 56% just puts the Mets in the wild card. Still, that’s a five-point jump from last Wednesday, before the Mets ripped off a four-game sweep of the 1927 Yan– er — I mean, the Cubs. But sadly for the Mets, the division-leading Nationals have also been swatting aside opponents with cavalier disregard — most of the Mets’ playoff gain came at the expense of the Fighting Lorians. Like Matz, Alderson faces a tough decision: how to balance the future against the now. The Mets are neither clearly bad enough to play for next year, nor clearly good enough to play for this one. Their roster is largely set for the near future; of their significant contributors only Neil Walker will walk at the end of the season, likely to be replaced by Dilson Herrera. The Mets are ninth in attendance, 14th in local television revenue, and 16th in payroll. They are also first in BMI (Bernie Madoff Influenza). This isn’t a team that can likely add a lot of payroll, particularly if they intend eventually to fork over some major bitcoin for at least some of the current starting rotation. The Mets have three prospects in MLB’s top 100, but just one (Dominic Smith) in the top 50, and Smith barely clears that hurdle at #45. Although showing some increased power this year, Smith threatens to develop into the next James Loney, a threat so grave that Alderson fended it off (momentarily at least) by bringing in the current edition to fill in for the wounded Lucas Duda at first. Young shortstop Gavin Cecchini is raking at AAA to the tune of an .871 OPS, but he only recently found the rake in the back of his garage behind the broken foosball table; his career minor-league OPS is a pedestrian .745. Alderson is showing his faith in Cecchini by filling the Mets’ yawning chasm at third with an incipient public relations disaster. Alderson has a little time. Playoff chances can swing wildly during the season, as he discovered last year. In three weeks he’ll have a better idea of where the Mets stand, and can then make a decision regarding Matz. If the Mets collapse, then the incentives for both team and pitcher come into alignment, and Matz will likely have surgery. If the Mets surge (they did, after all, finally find Nimmo), then he’ll ask Matz to shut the hell up and rub some dirt on it. Unlike some of his co-rotationists, Matz isn’t a superhero. He’ll do what he’s told, while watching with trepidation as The Contract recedes into the future. 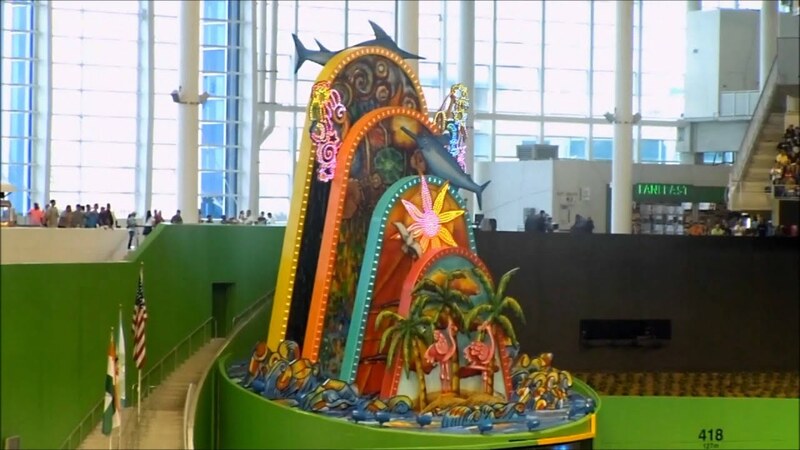 There are good systems, there are poor systems, then there’s 50 pounds of effluence, and then there’s the Marlins. Add another 50 pounds, and you’ve finally reached the Angels. Disclaimer: The side effects of reading through the entire Angels Top 30 may include drowsiness and an upset stomach. I’ve been doing these rankings for eight years now, and this is by far the worst system I’ve ever seen. The practice of farming is prohibited. All right or claim of a major league club to a player shall cease when such player becomes a member of a minor league club, and no arrangement between clubs for the loan or return of a player shall be binding between the parties to it or recognized by other clubs. Sometimes the most important things are the things that aren’t there. Those words from the 1903 National Agreement, the peace treaty ending the brief but intense war between the National and American Leagues, were omitted from the revised agreement in 1921. And into that omission rushed Branch Rickey, who did not invent the practice of “farming” minor league players, but who perfected it with a ruthless efficiency that real farmers would only achieve much later with he generous application of pesticides. Rickey purchased not players, but teams, and in some cases entire leagues. The 1903 farming ban codified, albeit temporarily, the American League’s declaration of independence from the National League, first issued in 1901. The farming ban was Ban Johnson’s announcement to the world that no one was going to treat his league’s players as farmhands. The ban also helped secure the loyalty of the Players’ Protective Association, an incipient union opposed to the practice (see pdf p.2), and was one factor encouraging star players to jump to the new league. Major league owners routinely eluded the farming ban, however, and by 1920, baseball’s next crisis year, the ban was on the ropes. Wracked by gambling scandals, poor wartime attendance, and the ghastly death of Ray Chapman, organized baseball forged a new National Agreement in 1921. The new agreement omitted the farming ban, perhaps because the AL, having by that time firmly achieved major league status, lost interest in the cause of player liberty. Although Commissioner Landis despised the concept of farm systems, he was largely unable to prevent their development. Landis failed because the economic logic of farm systems is unassailable: By owning most (though certainly not all) aspects of the production process, major league teams could greatly reduce the transaction costs inherent in developing major league-caliber players. Farm systems also limit the competition among teams for minor league player’s services. After the draft, the player is essentially under team ownership for several years, unable to work for any other team without the owning franchise’s consent. Every major league team eventually developed a farm system, though (as Bill James has noted) laggards like the Cubs and Pirates paid a heavy price, suffering through years of mediocrity beginning in the 1940s. It is now impossible to imagine a major league team without a farm system. Or at least it was until this year. The Los Angeles Angels of Anaheim today stand on the threshold of an alternate future, a future in which Judge Landis won. Alone among MLB franchises, the Angels today entirely fail to benefit from the major league owners’ long twilight struggle to reduce minor league players to peonage. I want players. Lots and lots of players. 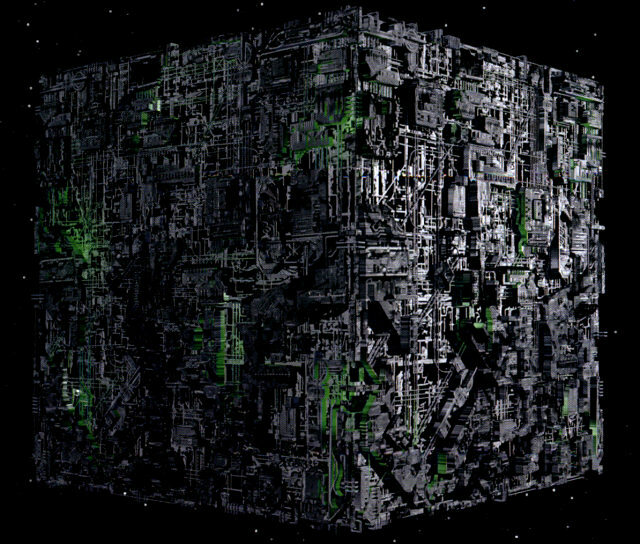 The Angels’ recently minted general manager, Billy Eppler, will lead the team through the next phase of its dystopian journey. To be fair, it’s not exactly true that the Angels have no farm system at all — they have minor league affiliates in thrall to the major league club, just like other major league clubs do. And those affiliates may even win a few games (so far, just a few). But the system is bereft of impact talent at any level. A handful of these guys will turn out much better than now perceived, but the vast majority won’t. The next pennant winning Angels lineup and rotation is invisible without experimental pharmacological assistance. One way to get “lots and lots of players,” or at least a relatively large haul of good players, would be to trade Mike Trout. The idea has been debated on these pages and elsewhere, and I don’t propose to rehash the details here. One thing Eppler might want to consider, however, if he contemplates such a drastic move is that nothing of the kind has ever happened in baseball history. Nothing even close. Trout had a 9.4 bWAR last year; no player with that high a WAR has ever been traded in the following season. Connie Mack infamously sold Eddie Collins and his 9.1 bWAR to the White Sox after the 1914 season. The woeful Boston Braves traded Rogers Hornsby (8.8 bWAR) to the Cubs after the 1928 season for a clown car of substandard players and $200,000 in a classic salary dump. Mike Piazza was traded twice in one year after his 8.7 bWAR in 1997. First, the Dodgers shipped him to the Marlins in exchange for a pile of good but expensive players; in this odd case the salary-dumping team received a superstar, although it also unloaded a superstar in Gary Sheffield. The Marlins then Marlined it up real good just one week after Piazza put on the teal, sending him to the Mets for Geoff Goetz, Preston Wilson, and Ed Yarnall. Centuries from now the Marlins will be viewed as we view the giant Moai of Easter Island: with a mixture of awe at the achievement and amazement that the people responsible failed to put their limited resources to better use. And that’s about it for the top 200 player-seasons. So Eppler would be piloting the S.S. Anaheim into uncharted seas if he traded Trout; there is no comparable trade out there by which one could even vaguely assess his value. That doesn’t mean Eppler shouldn’t try, but he shouldn’t try too hard. Trout is still just 24, and it is conceivable that the next pennant winning Angels lineup could still have him in it. No other GM in baseball history has seen fit to trade a player of Trout’s caliber; Eppler should be wary of being the first. There is another way, pioneered by a team just a few hours north on the 5. In 2002 the San Francisco Baseball Giants made it to the World Series with a team that GM Brian Sabean had built around Barry Bonds. Bonds, for you youngsters out there, was the Oughties’ Mike Trout, though I suspect that both men would bristle at the comparison. Drug-fueled or not, Bonds dominated the game like few ever have, yet Sabean labored mightily to get Bonds into the World Series. Ultimately, Sabean achieved this not by tending crops in the blazing fields from dawn to dusk, interrupted only by a cholesterol-laced dinner at noon. Your 2002 Giants had exactly one (1) player with a bWAR over 1.o who had come up through the Giants farm system. That was Russ Ortiz, a pitcher many may remember as a failure because the red crystal in his palm began glowing right after his age 30 season, but up to that point he was a reliable innings eater with roughly a league average ERA. Yeesh. Tony Torcato. Damon Minor. Trey Lunsford. Yep, they’re in the 5.3, and they’ll be gleefully wielding flaming pitchforks in Scouting Hell. The news wasn’t all awful — Joe Nathan is in that 5.3, as is the aforementioned Ortiz. But it’s safe to say that the 2002 Giants are a team that Judge Landis might have liked. Well, you know, except the PED part. That’s 15.9 bWAR for those of you keeping score at home, and adding in Kent brings the total to 22.9, or just under half of the Giants’ 2002 total. The best players traded away for those guys, by far, were Matt Williams (cumulative 12.5 bWAR after being traded for Kent) and Bill Mueller (11.8 cumulative bWAR after being traded for Worrell). Given that Williams brought Jeff Kent, the only clear mistake in hindsight was Mueller, an outstanding but aging and fragile player who put together some memorable late career seasons after being traded for Tim Worrell. That trade may not have worked as Sabean would have hoped, but it was defensible at the time. So the Chapter 7 condition of the Angels’ farm system doesn’t necessarily prevent Eppler from remaking his roster. But it does severely constrain his efforts; the players Sabean traded away for the most part didn’t pan out, but he was able to convince other baseball executives that they would, executives who get paid good coin to see through exactly this kind of B.S. (those are Sabean’s initials — it’s probably a coincidence). Eppler doesn’t even have enough talent on the farm to fake it. But the current Angels major league roster has some useful bits in addition to Trout. Kole Calhoun, Andrelton Simmons, and Garret Richards (albeit currently with a UCL subject to manufacturer recall) aren’t exactly a “core,” but they’re not a bad franchise starter kit. Nick Tropeano and Andrew Heaney (albeit currently with a UCL subject to manufacturer recall) offer some hope that young Angels fans might see a quality start before they have their first legal beer. And Josh Hamilton’s $26 million of dead weight exits the ledger after this year. The Angels will be paying Albert Pujols until humans colonize the Alpha Centauri system, but other than that, their contracts aren’t awful. So one plan might include trading some (though certainly not all) of the above-named players, especially Calhoun, who is developing into an advanced hitter at a somewhat advanced age. It will also include signing free agents in bunches, more than Sabean did. Harder to do now than in the past, given that teams seem to be locking up their top-tier young players with greater frequency, but this is why scouts get paid (or should get paid) the big dollars. Some franchise (do I smell fish?) will undervalue its own talent, and Eppler must be there to pick up the pieces. Or he can trade Trout. I’m glad I’m not Billy Eppler. Last year the once lowly Cubs won 97 games, and the also once lowly Astros won 86. Because both clubs had been as bad as Trump’s rug for years, many attributed these successes to the practice of tanking — intentionally losing games to acquire high draft picks with which to rebuild. This year, the Astros have gone a bit backward in the early going, thanks mainly to an incendiary pitching staff (if you had this guy second among Houston pitchers in WAR by mid-May, stop reading this right now and go fix world hunger). The Cubs have continued to roll, and as you know are currently on a pace to win 3.4 billion games this year. Those tanks seem unstoppable. The interwebs were aflame with tanking debates during the offseason, with some saying it’s destroying Our Way of Life, and others saying well, no, it isn’t. This seems like a question susceptible to analysis using a new statistic with a vaguely humorous name. But before we get to that, we need to define the “tank” — I consider it to be the bottom six teams in the majors in any year. I arrived at six by rigorously counting the number of divisions in major-league baseball, and assuming that in most years the bottom six teams will be in their respective divisional cellars. This won’t always be true, but it will seldom be egregiously false. So a team in the tank gets one of the top six draft picks in the following June draft. The new statistic, TankWAR, is simply the WAR attributable to each player the team drafted with a top-six pick, or to players obtained by trading one of those top-six players. The Cubs and Astros each had four tank picks in the last ten drafts, twice the random expectation. The italicized players have reached the majors. Last year the Cubs accumulated 50.2 WAR. Bryant contributed 6.5 of that, while Kyle Schwarber added another 1.9. So the Cubs’ TankWAR last year was 8.4, or 16.7% of the team total. On the one hand, the Cubs probably would have come close to 90 wins without these guys. On the other hand, wins 90-97 are among the most valuable in baseball. On the third hand, last year it wouldn’t have made a difference. At 89 wins or 97 the Cubs were the second wild card. On the fourth hand, that’s probably pretty rare. Also note that of the Cubs’ starting 13 (eight position players plus five starting pitchers) only Bryant and Schwarber were Cubs draftees. The team acquired the other 11 through trades and free-agent (including international) signings. To put it another way, 42 of the Cubs 50 WAR came from players that every other GM had access to regardless of the previous year’s record. This year, the Cubs’ TankWAR is just 1.4 (with Bryant contributing 1.5 and Schwarber subtracting 0.1 before suffering his season ending injury). That’s just under 10% of the Cubs’ total WAR of 15.6. So however important tanking was to the Cubs last year, this year it’s mattered less thus far. The Astros were a more draft-dependent team than the Cubs in 2015, with six of their 14 regulars (including the DH) being Houston draftees. George Springer was by far the highest pick of the lot, costing Houston the 11th overall pick, thanks to the Astros bad-but-not-especially-tankly 76-86 finish in 2010 (good for fourth of six in the then-bloated NL Central). Most of the Houston draftees were guys that the other 29 GMs had passed over, and over, and sometimes even over again. Both teams still have solid farm systems, if somewhat less spectacular than in recent years thanks to graduations and in the Astros’ case, that ill-advised Giles trade. The tank picks currently in their respective systems could help their teams relatively soon. But these teams are already very good. The remaining tank draftees won’t be turning their teams around so much as extending their respective windows of success, either by joining the big club or anchoring key trades. So the evidence that tanking works is mixed. Both teams have benefited from their tank picks, but it is a significant exaggeration to say the Cubs’ and Astros’ recent successes are solely or even primarily because of tanking. However, Bryant and Correa in particular are players that can move their teams from good to great. These are the kinds of players that will typically be available only to the very worst teams under the current draft system. Thus, the worrywarts aren’t entirely … wartless — there will always be some incentive under some circumstances to get one of those top picks. That said, the case for making major rules changes in response to tanking remains thin. While it’s clear that in recent years the Cubs and Astros lacked quality major-league talent, it isn’t at all clear that they were deliberately trying to sabotage their rosters (the case of Kris Bryant’s AAA hostage drama is a different problem). And, as noted above, most of the Cubs’ and Astros’ WAR during their recent resurgence has come from players who they could have obtained whether they had tanked or not. Indeed, one of the most tank-dependent teams of all time, your 2008 World Series Rays, obtained less than a quarter of its WAR from tank picks. Another thing to bear in mind is that every team is different. For some teams, attendance is highly correlated with winning percentage, and for others, not so much. Tanking will probably cost the highly correlated teams more revenue, making it harder for those teams to finance the other rebuilding components. The low correlation teams have more patient fans and thus may have the room to explore more radical roster revision approaches. Thus, a patient fan base is an asset. Changing the rules to prevent death-and-resurrection rebuilds isn’t a neutral solution — it would directly favor the teams whose fans desert them in the lean years (these are discussed in detail in the preceding link), and disfavor the teams with patient fans (like the Cubs and the Astros). The case hasn’t been made that the patient fan problem is so egregious that it needs to be legislated out of existence; indeed, it isn’t clear there’s a problem here at all. Each franchise (well, maybe except this one) tries to win by maximizing the advantages it has over its competitors while minimizing the impact of its relative weaknesses. That doesn’t sound very nefarious. In fact, it sounds a lot like baseball. If you’re a baseball fan, you want to see the game succeed around the world. (Note: If you’re not a baseball fan and you’re reading this post, then a cruel and capricious Fate has once again sent your life’s tormented journey careening badly astray.) Baseball is the national sport in Japan and Cuba. It is played avidly in great swaths of Latin America. Korea, Taiwan, and even Australia have popular leagues. Baseball spans the globe and it was invented here. That’s pretty cool. But a game that has colonized the land of the marsupials has struggled to gain a foothold at the major-league level in one place right here in the U.S. of A., and that’s Denver. Since their birth in 1993, the Colorado Rockies have never had four consecutive winning seasons. They’ve been to the postseason just three times, failing to get past the divisional series twice. During their 23 seasons, the Rockies have finished last or second to last in their division 18 times. The Rockies’ recent puzzling trade of Corey Dickerson for Jake McGee has renewed existential discussions about baseball at altitude: Can the Rockies ever win? If so, how? One aspect of this broader inquiry looks at the statistical anomalies associated with Coors Field. Another branch, the limb I’ve crawled out on here, looks at the Rockies’ roster construction problems. We are fortunately not completely bereft of evidence bearing on the question of how to assemble a winning Rockies roster. Dan O’Dowd did it, taking the team to the World Series in 2007 and establishing the franchise’s only semi-sustained run of non-futility from 2007-2010. His success was somewhat fleeting, which is why he’s working for the MLB Network now. But he did at least momentarily succeed where all other have failed, so it’s worth sifting through those old Rockies to see if any useful artifacts can be found. The 2007 Rockies were a career-year team. A lot of things went right for a lot of players at exactly the same time. Matt Holliday and Troy Tulowitzki had MVP caliber seasons (though fWAR liked Tulo a little less than bWAR did). Holliday, Kaz Matsui, Jeff Francis, and Manny Corpas all had career years under either version of WAR, and bWAR says 2007 was Tulo’s best year. Those were five of the Rockies’ six WAR leaders in 2007, the other being Todd Helton. Except for Matsui and Helton, they were under 28 years old. These Rockies could pick it, especially in the middle infield. Regardless of defensive metric used, Tulowitzki and Matsui had outstanding defensive seasons. Using Fangraphs Def rating, Tulo at 22.2 runs above average was behind only the magnificent Omar Vizquel (30.2) at short. Matsui lacked enough innings to qualify, but he would have been third (13.0) behind only Brandon Phillips (19.4) and Chase Utley (14.5). The metrics split significantly on two other Rox, Holliday and Helton. Total Zone loved ’em, Def did not. The Rockies took advantage of that iron curtain infield with a heavy ground ball pitching staff. The Rockies staff was first in the NL in the ratio of ground balls to fly balls, and in ground outs to air outs. They were better than the league average in WHIP, H/9, and BB/9. Their ERA and FIP were mediocre, but the park-adjusted figures were much better. Their ERA- of 90 was good for third in the NL, while their FIP- of 97 tied them for fifth. The one thing the Rockies pitchers didn’t do was miss bats – they were 14th of the then-16 NL teams in K%. One more thing about the 2007 Rockies: they were young. Pitchers and hitters averaged about a full year younger than the league. Helton and Matsui were the only starting position players over 30, and Rodrigo Lopez was the only semi-regular rotation denizen over 30. The bullpen had two key contributors over 30: Brian Fuentes and LaTroy Hawkins, but also two under 26 (Corpas and Taylor Buchholz). Today’s Rockies lack most of that 2007 vibe. The 2015 lineup had just one player, Nolan Arenado, who had a breakout season, and he was the only player from whom such a season might have been expected. The middle-infield defense was was almost exactly average, with Tulo (-1.6 Def) and DJ LeMahieu (2.6 Def) mere shadows of the 2007 keystone combination. The pitchers still get a lot of ground balls, but they don’t do anything else well. In 2007 the Rockies staff tied for 7th in the majors in average fastball velocity; last year they tied for 17th. And the team is older; the hitters are at just about the league average, and the pitchers roughly four months above it. Career years, stellar defense, hard throwing: these are the components of a younger man’s game, and this is especially true in Denver’s lung-busting altitude. Whether by design or accident (or more likely some combination of both), O’Dowd found a winning recipe for Coors that exploded into relevance in 2007. Assemble a roster of mostly younger players with high ceilings, and hope a decent quantity of them hit those ceilings at the same time. Not only is this easier said than done, it is also a strategy freighted with risk. A roster built like this may well still fail more often than it succeeds, though the successes can be very sweet. The expanding competition for young talent puts a premium on the Rockies’ ability to find players deeper down prospect lists that have promise and have not yet come close to achieving it. It’s harder to sell tickets when the team isn’t relentlessly successful. But an overlooked aspect of Coors Field is its positive impact on team revenues. It is simply a fabulous place to watch a baseball game, particularly on a sun-drenched Denver summer afternoon. The Rockies put a craptastic product on the field last year and still managed to rank 8th out of 15 NL teams in attendance. This is the worst they’ve done in the last five years, despite fielding teams that have evaded victory with alarming regularity. Denver fans are enthusiastic and patient. This is exactly the kind of fan base for which a gambling, win-in-the-window and then rebuild strategy might work. This is the fan base Billy Beane wishes he had. The Rockies may or may not be poised to implement a plan like this. They now have six prospects in MLB Pipeline’s top 100, headlined by Brendan Rodgers, a player that may have the glove to stick at short with a bat that would play at third. They have some young hard (or at least harder) throwing arms. They have David Dahl, a center fielder who might have the enormous range to make fly balls slightly less dangerous to the pitching staff. But there are some dragons on the map. Forrest Wall, the Rox’ top second base prospect, is more bat than glove, a combination that may be less helpful at Coors than elsewhere. Ryan McMahon is a third baseman and Trevor Story may profile best there, but this is the one major-league hole the Rockies have already filled. They have a glut of low-ceiling outfielders only slightly alleviated by the McGee trade. That trade looks less puzzling seen in the light of a young, high-upside strategy. As David Laurila recently noted, the most favorable to way to interpret this trade from the Rockies’ standpoint is that GM Jeff Bridich intends to flip McGee for one or more promising prospects. Corey Dickerson is a decent player, but he doesn’t really fit with this kind of plan. It’s reasonable to expect a similar trade involving Carlos Gonzalez before the trade deadline. You will definitely need a scorecard to identify your 2017 Rockies. The wildest of cards here is the Rockies’ erratic ownership group, at whose behest the team held onto Tulo for too long, and may have done the same with CarGo. If the Rockies want to follow the strategy outlined here, they will need to constantly and relentlessly purge their roster of older players when the career-year potential is behind them and their defense (or velocity) starts heading south. Owners often want to hang on to the old, familiar names. The Rox would be better off having hearts as cold as their ballpark’s beer. Say “John Hart” and many baseball fans will immediately think of a two-word phrase: “Cleveland Indians.” Hart made his name with the wider baseball public by skillfully transforming the perennial doormat into a juggernaut. From 1995 through 2001, the Indians finished first six times and second once. They went to the World Series (and lost) twice. The Indians last postseason appearance prior to 1995 was the 1954 World Series, when they got swept by the New York Baseball Giants. Say “John Hart” and some baseball fans will think of another two-word phrase: “contract extensions.” Hart was a first-mover in employing the tactic of buying out a player’s arbitration and early free-agency years, paying a little more now in exchange for a lot less later. This was part of Hart’s broader strategy, useful anywhere and necessary in Cleveland, of squeezing the maximum value out of every dollar spent. Say “John Hart” and almost no baseball fans will think of yet another two-word phrase: “senior citizens.” One of Hart’s less-heralded strategies was raiding the top end of the aging curve, signing players well past their born-on dates to patch the numerous holes in Cleveland’s roster that a decent but top-heavy farm system couldn’t fill. In 1995, Dennis Martinez tied for the second-best pitching season in baseball history by a 41-year-old. In a coincidence proving that our lives are governed by powerful yet unseen forces far beyond our comprehension, Hart now finds himself in charge of the other Native American themed major-league franchise. (I strongly advocate renaming the Cleveland franchise thus, but that’s a topic for a different post.) Hart’s experience in Cleveland will no doubt shape his approach to remaking the Braves into a contender, but the challenges he faces in Atlanta are in some ways more daunting, and the solutions he employed in Cleveland may be less effective today. The Spiders team that Hart took over in 1991 already had most of the high-impact players that would power the team to its seven years of dominance. Here are the starting 8, the starting DH, and the rotation for the 1995 team, along with the player’s age and bWAR that year. A “+” indicates a player Hart obtained. Baerga, Belle, Ramirez, Thome: those Four Horseman of Lake Erie (ok, fine, you try making a metaphor) were already in the house when Hart took over. He added two critical pieces to the lineup, however. Quickly deciding that Alex Cole wasn’t the answer to any baseball question worth asking, in late 1991 Hart obtained Kenny Lofton from the Astros for … well, go ahead and click to find out. Lofton was traded six times in his career, and in five of those trades the team receiving Lofton committed larceny. It took Hart longer to give up on shortstop (and former second overall pick) Mark Lewis, but after 800 ineffective plate appearances, Hart had seen enough. Recognizing that this guy has made Seattle’s Omar Vizquel redundant, Hart reeled him in for the low, low price of Felix Fermin and Reggie Jefferson. That still left numerous vacancies on the major league roster, and Hart set about filling them by purchasing AARP’s mailing list for Northeast Ohio. Pena, Murray, El Presidente, and Hershiser were all old enough to know their way around the bingo parlor, and Hart got value from all of them except Pena. Hart made two key additional moves, bringing in failed starters Jose Mesa and Eric Plunk and showing them immediately to the bullpen. The two combined for a whopping 6.0 bWAR in 1995. Hart struck gold in four of the five cases – except for Baerga, these players’ salaries skyrocketed after they escaped the Cleveland contracts. Baerga was a misfire – he peaked very early and the first year under his new contract (1993) was the last year he would be dominant. In the other four cases, however, Hart got the players’ best years at a relative discount, and then allowed his competitors to overpay for the decline years. Not that Hart avoided older players entirely – as we’ve seen, he prowled Sunset Acres with almost sinister determination. The years he didn’t want to pay for were the early to mid 30s; those were the years in which he seemed to think that market inefficiencies most significantly favored the players. Before that window he could get maximum performance, and after that window he could get veterans at discounts reflecting the players’ acute awareness of their own career mortality. Vizquel is the obvious exception, though even here Hart got a bargain. Vizquel’s salary maxed out at $7.5 million with the Spiders (in 2015 dollars), astonishingly low for a player who, while he probably doesn’t belong in the Hall of Fame, would hardly be an absurd choice. Vizquel played for Cleveland from age 27 through 37, thus encompassing many of the very years Hart avoided with others. Here Hart was perhaps exploiting yet another market inefficiency, the bat bias. Vizquel never really hit – he had just two years with a wRC+ over 100, and his career number is 83, which isn’t that great even for a middle infielder. But oh, could he field. Only four active shortstops have played more than 2000 innings and have a better UZR/150 than Vizquel’s career 8.7. Vizquel’s glove was solid gold, and his relative weakness at the plate meant that Hart could buy that gold at a discount. Assuming Hart keeps them both, Swanson will move to third or (less likely) Albies will move to center; his bat is unlikely to carry any other position. Atlanta’s upper levels have little obvious offensive potential, with center fielder Mallex Smith being a conspicuous exception. Though still largely a stranger to top-100 prospect lists, Smith has a career .768 OPS in the minors, unaided by the PCL, and will be just 23 this year. He struggled in AAA last season, but overall looks like he could be a useful speed-oriented center fielder. And he got a big up here. So the outlines of a playoff core are in place: Freeman, Albies, Swanson, Smith (or perhaps Ender Inciarte, another recent Braves acquisition), and Newcomb. Long-term extensions, anyone? Well, let’s see, Freeman already got his: he’ll be pulling in $22 million in 2021 in a backloaded deal that looks somewhat risky, though it ends at age 31. Swanson, Albies, and Smith will have to wait until they demonstrate some ability in the majors, but the chances that Hart can get away with low AAV contracts through the players’ late 20s seem slim. In 1994 Hart’s contract extensions seemed like a gamble, but today they look like bargains for the team. Few agents would want to be associated with these kinds of contracts unless the player needs to give a character discount (paging Aroldis Chapman). Indeed, Freeman’s contract may be the model here – a great deal for the team in the early years, while the player claws some of it back toward the end. With the Indians Hart seemed to generally eschew long-term contracts for pitchers – the limited information I’ve found suggests that he never went beyond four years, though often with a salary-boosting club option (see, e.g., CC Sabathia and Bartolo Colon). So perhaps Newcomb can look forward to one relatively team-friendly 4-year deal to be followed by truckloads of cash from another team. One of Julio Teheran, Aaron Blair, and Touki Toussaint will probably fill the two spot. As for the rest of the rotation, there are a lot of guys competing for probably two spots (the guys just mentioned, plus Manny Banuelos, Mike Minor, Matt Wisler, Mike Foltynewicz, and maybe three or four guys in the minors). Again, some of these guys may get one 4-ish year deal before moving on. On the other hand, good pitchers today will probably seek at least 5 or 6 years unless, again, there are character or injury issues militating in favor of a discount. You know his methods, Watson – Hart may attempt to fill any remaining rotation holes with old but talented pitchers. Expect the same for the lineup, but using the young players’ sweet contracts to subsidize those of the veteran imports may be more difficult now than it was in the 90s, since the youngsters are going to leave less money on the table than the old (young) Indians did. Hart enjoys one modest but rapidly deteriorating advantage: the NL East is a tire fire right now. The purported contending teams (Mets, Nats, maybe the Marlins) are more dysfunctional than Springfield’s nuclear plant. The Phillies have done an admirable job of remaking the front office and the farm system, but the team is still a few years from contention. This sorry window is closing, though. All of Atlanta’s competitors (except the Marlins) have more money to spend than Atlanta does; their dysfunction won’t last forever (except the Marlins). And yes, the Mets have, or should have, money. Say “John Hart” to Atlanta fans in 2019 and maybe they’ll say “World Series!” But the mountain is steep – today he faces better-informed players and more uniformly competent GM competitors, all armed with big data that was only beginning to come into view in the mid 1990s. Perhaps Hart will lead his troops to fight like Scotsmen; to succeed, they’ll probably need to. Yes. Probably. If you’re in a hurry, you can now go do whatever you should be doing instead of reading about no-longer-prospecty baseball players. But if you’re not in a hurry, know this: there’s a chance he can survive, if only a small chance. Kyle Drabek is rowing against a mighty tide that seeks to dash what’s left of his career against the jagged rocks. The former Phillies first-round pick (don’t fret, Ruben-haters — the really good guys in this draft were already gone) had a mediocre minor league career followed by a wretched major league one. Over 177 injury-plagued innings, Drabek has been a TTO arsonist: 6.1 K/9, 5.7 BB/9, and 1.2 HR/9. His career ERA/FIP is 5.27/5.42. When hitters die and go to heaven, they face him every night. And yet the Arizona Diamondbacks recently signed him to a minor league deal. What might they be thinking? Drabek has been through Tommy John surgery twice, in 2007 and again in 2012. Here’s a list of repeat TJ offenders — you can sort on “Back to playing” to see who, well, made it back to playing. It’s largely a grim list, but there are some pitchers who came back to perform decently. As you can see from perusing the list, and this post, the vast majority of those are relievers. Entering his age-28 season, Nathan was a failed starter with one shoulder arthroscope to his credit. That year the Giants converted him into reliever, and after season’s end converted him into A.J. Pierzynski. Nathan went on to rack up the eighth-most saves in MLB history, which is a pretty fair achievement even if you aren’t into saves. How did he do it? Unfortunately, pitch-by-pitch data isn’t available back to the years (1999-2000) when Nathan did most of his damage as a starter. But a look at Nathan’s pitch values nevertheless suggests some clues. One big clue in particular: his slider was devastating. By fleeing to the bullpen, Nathan probably was able to add a little heat to the slider, and perhaps able to throw it more often. Hitters would only see him once as a reliever, but this may not have been a huge factor, since hitters were beating Nathan like a drum as soon as the cute guest-PA-announcer-kid finished shouting “play ball!” Get to him a third time, though, and it was like walking to the plate with a plutonium-corked bat. One can imagine that being in the bullpen enabled Nathan to add some velo and subtract the amount of times he threw his weaker pitches. Salomon Torres presents a similar profile: a failed starter in the 1990s, Torres disappeared off the baseball earth for a few years before resurfacing with the Pirates as an effective reliever in 2002. Torres’ out pitches were the slider and splitter; he featured both as a reliever evolving toward the latter as he aged. Justin Miller also made the transition from awful starter to solid reliever. Like the others, he did not wholly abandon a pitch when moving to the pen, but he placed greater emphasis on his — you guessed it — excellent slider, at the expense of his not-so-excellent fastball. Miller didn’t add much velocity in becoming a reliever; it seems to be the change in pitch selection that helped him turn the corner. These career paths might be helpful signs for Drabek, but in at least two senses they aren’t: unlike the other guys mentioned above, Drabek lacks a carrying pitch. Nathan had an excellent slider, as did Miller and (at times) Torres, even when the rest of their pitches were failing them. Drabek’s pitches are all below average, so he appears to lack a safe base from which to make his bullpen transition (although to be fair, all of Drabek’s pitching stats suffer from the pain and embarrassment of small sample size). By the numbers, the curve is the least bad of his offerings; perhaps focusing on becoming a fastball-curve guy would benefit his development. Focusing on the curve brings us to Drabek’s second problem: TJ survivors appear to struggle with breaking pitches. Throwing more curves at this stage of his career may be the last thing Drabek can (or is willing) to do. It’s not impossible: Jason Isringhausen leaned heavily on the curve as he remade himself into an elite closer. But there aren’t a lot of examples here. Perhaps Drabek can develop his changeup, his second-least-bad pitch. It appears that, following his surgery, he tried to emphasize his cutter, a pitch that hasn’t been kind to him yet, but an approach that did help The Beard to become fearworthy. Perhaps a superior pitching coach could help Drabek, but here’s who the Snakes just hired. Despite these difficulties, the Diamondbacks nevertheless have an incentive to pick through the Drabekian rubble to see if they can salvage any value. Even with their spiffy new TV deal the D’Backs will always be no better than second-tier in terms of resources and attendance, especially problematic with the Dodgers juggernaut in the same division. Finding cheap pitching hand-me-downs will enable the organization to invest elsewhere (as it is already doing with the lineup). Given both Drabek’s limited major league success and his limited major league appearances, deciding how to reconstruct him may be even more difficult than such projects usually are. Drabek doesn’t have huge platoon splits, and while for now that means both southbats and northbats will feast on his pitches, over the longer haul it may mean that he could be useful as a swing man or multi-inning reliever. The Diamondbacks have had success in re-imaging double-TJ survivor Daniel Hudson as a reliever, but he had already had much more success as a starter than any of the other pitchers mentioned in this post (except Tommy John himself). Indeed, the Snakes may move Hudson back to the rotation next year. But perhaps the work with Hudson has given the organization some clues for how to deal with a much more challenging project. I’m rooting for Drabek, but I’m taking the under. Pitcher X is not Jake’s long lost brother, but is in fact Jake Arrieta – those are his cumulative stats from 2010-2013, his first four years in the majors. And that’s not a small sample size; Arrieta accumulated 409 innings in his first four years. The top line is from 2015, a season which has put Arrieta within shouting distance of a Cy Young award. No other pitcher has had a surge like this after floundering so badly for his first four years, but even before 2015, Arrieta was traveling through a baseball landscape witnessed by very few humans. Just 26 pitchers in major-league history have amassed over 400 innings in their first four years and “achieved” an ERA+ of 80 or worse. The list is here. It’s most notable for its lack of notability — an array of names of you haven’t heard of, interspersed with a few modern guys who, for the most part, failed to make an impact. The other notable thing about the list is how short it is; most teams will have given up on a pitcher this consistently bad long before he’s eaten 400 innings of paychecks. Beside Arrieta, just two of the 26 had successful major-league careers as starters: Bullet Joe Bush and Camilo Pascual. None of them ever came close to Arrieta’s 222 ERA + in 2015; in this respect, Arrieta walks (or rather suppresses walks) alone. Arrieta came up in 2010 to participate in two 90-loss Orioles seasons, but the Birds were taking flight, and in 2012 they would win 93, before slipping to 85 wins in 2013. These were good teams, patched together with Dan Duquette’s yard-sale bargains and Buck Showalter’s newly humanized intensity. Arrieta had a quiet breakthrough in 2012, his third year with the Orioles, when his K/9 spiked at 8.7, while his BB/9 plunged from over 4 down to 2.7. These front-line starter numbers were buried by his 6.20 ERA, which in turn stemmed in part from a high homer rate (1.3/9). The Orioles understood that beneath the ERA there was progress, and did not trade him. In 2013, Arrieta gave most of his gains back. The strikeouts remained, but he began walking the house. Even FIP began to have doubts, and on June 17 they shipped him to the Cubs (along with Pedro Strop, now a competent set-up man) in exchange for backup catcher Steve Clevenger and 90 mediocre innings from Scott Feldman. It looks like a disastrous trade now, but at the time it seemed suicidal for a contender to hand Arrieta the ball every fifth day. Although no one on the List of 26 is really a comp for Arrieta, Pascual probably comes closest, thanks to his dominating stuff. Featuring a knee-buckling curve, Pascual achieved strikeout rates that wouldn’t look at all out of place in today’s game. From 1958-1964, Pascual K/9 never fell below 7; this in an era when league strikeout rates were typically in the 5s. Wildness and gopheritis plagued Pascual in his early years, but he became a rotation mainstay for the Senators in ’58, and stuck with the franchise until 1966, a year after the now-Twins went to the Series. Pascual had a quiet breakthrough in 1956, his third year with the Senators. His strikeout rate spiked at 7.7/9, while the walk rate dropped to a (still high) 4.2. Victimized by a ghastly 33 homers, his ERA was awful, but there were signs of promise. In 1957 it all went backwards. His ERA peaked at an eye-watering 6.11 on May 4, and after ebbing somewhat, reached another appalling summit at 5.49 on June 22, about the same time in the season that Arrieta’s career ended in Baltimore. But the Senators did not blink. It was around this time, in the sweltering 1957 summer, that Camilo Pascual became Camilo Pascual. The strikeouts came back, the homers did not. He finished with a respectable 4.10 ERA, a figure he would easily beat for the next 8 years. Pascual was only 23 during his Crossroads Year; Arrieta was 27, a much easier age for a team to give up on a player. Arrieta has Scott Boras as his agent; Pascual had the reserve clause as his ankle bracelet. Perhaps most importantly, the 1957 Senators were simply abominable. They would lose 99 games (out of 154!) in 1957, and indeed would exceed 90 losses during every season from 1955-1959. In 2013, the Orioles couldn’t risk nine more Jake Arrieta starts if they hoped to contend; In 1957, the Senators wouldn’t contend until 1962, by which time they had moved to a different time zone. The 2013 Orioles’ team success produced a roster assembly failure, while the 1957 Senators’ team failure produced a roster assembly success. Pascual was very good for several years. Arrieta has been outstanding for two. His FIP has been very consistent in his two full years with the Cubs: 2.26 in 2014, and actually slightly higher (2.35) in 2015. Arrieta’s remarkable climb has reached the top rung; it remains to be seen how long he can stay there. McCullers has been a key engine in the Astros relaunch, turning in 11 quality starts in 21 attempts since his arrival in the majors on May 18. He’s been the third most valuable pitcher on the ‘Stros, behind Cy Young contender Dallas Keuchel and Colin McHugh. While his innings load has been a concern, McCullers has thrown over 100 pitches in just 8 of his starts, and went over 110 just once. He throws the hardest curve in the charted universe, which probably accounts for his astronomical strikeout and walk rates in the minors. McCullers shaved 1.4 walks per 9 after his promotion, at the cost of 1.5 strikeouts, a trade probably worth making given the success he’s had so far. Major-league starting pitchers with a walk rate of at least 4.5/9 are rare, and mercifully so. By FanGraphs’ count, there have been 58 such pitchers since the beginning of divisional play in 1969. As you can see, these are generally the guys you’ll find in your grocery’s frozen-rope section. McCullers may yet revert to his minor-league form, in which case he can still be a bullpen force (where his many doubters thought he would end up), but right now he looks like a top-of-the-rotation starter. Acquired by the Sawx from Baltimore in July 2014 in exchange for reliever Andrew Miller … well, let’s stop there. How good would E-Rod look in the Fighting Showalters rotation? Hey, that’s a question that can be answered with research! Orioles fans are unlikely to curse Andrew Miller in the same way Cubs’ old-timers curse Ernie Broglio, but this trade left a bruise. Chen is likely to depart in free agency this winter, and putative rotation saviors Dylan Bundy and Hunter Harvey will need maps to find their way back to the mound after spending years exploring the further reaches of America’s medical-industrial complex. It’s unclear whether even he can save the Birds from dropping in 2016. It’s been a forgettable year in Cleveland, but the Indians have quietly assembled a decent pitching staff. Anderson is their 4th best pitcher by bWAR, and something of a surprise. Drafted in the 17th round by the Rays in 2010, Anderson did not sign, instead returning to Feather River College in Quincy, California. The move paid off, as the Spiders drafted him the next year all the way up … in the 14th round. It’s hard to believe the kind of run suppression Anderson displayed this year can last. The only qualifying starter this season with fewer strikeouts per 9 than Anderson’s 4.3 is Mark Buehrle (4.1). But if Anderson can find a way to edge his strikeouts up to the 6.8/9 he displayed in the minors, he could carve out a solid career as a back-end starter. He’s already accumulated more WAR than anyone else from Feather River College. Carson Smith was 12th in the majors this year in K/9 (11.83). Carson Smith was 109th in the majors this year in average fastball velocity. There is only one possible conclusion: the velo thing is hype. You heard it here first. In another questionable trade of a young starter, the supposedly pitching-rich Nationals sent Karns to the Warehouse by the Bay in exchange for Felipe Rivero, Jose Lobaton, and former first-round RF Drew Vettleson, whose on-base skills were last seen floating down the Schuylkill. Karns has trouble keeping the ball in the yard but his other rate stats are solid. At age 27, there’s probably not a lot of upside here, but Karns will remain a useful rotation piece as long he’s still cost-controlled. At just 5.65 IP/start, he puts pressure on his bullpen; more efficiency would help. Syndergaard’s 5.2 K/BB would put him 8th in the majors if he qualified. 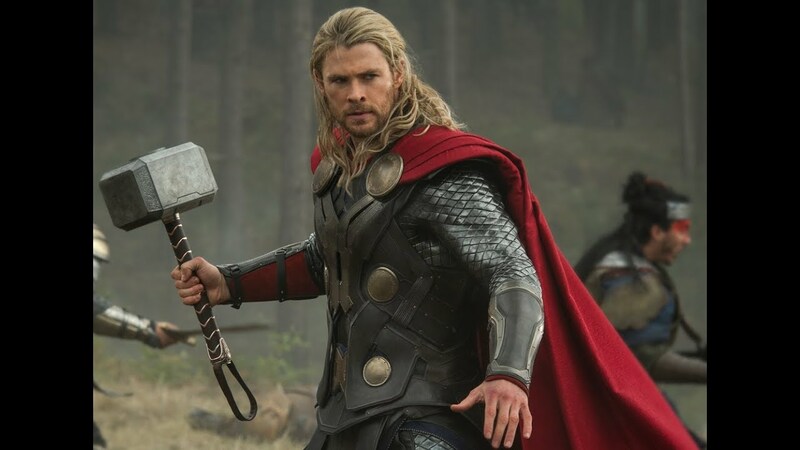 Yet another traded prospect, Thor came to the Mets from the Blue Jays in exchange for R.A. Dickey and a crate of Jerry Grote bobbleheads. The Jays are steamrolling toward the World Series, and Alex Anthopolous’ hyperkinetic roster manipulations have a lot to do with that, but you have to believe this is one he’d like to have back. Doug Melvin and Ruben Amaro, Jr. sailed away from GM Middle Earth this year, but they each left their respective teams at least 2/5 of a good young starting rotation. The Phillies moved Nola to the majors quickly, but he was an advanced prospect when drafted and faced no serious resistance at any minor league level. There are some signs of danger: lurking menacingly behind Nola’s 3.59 ERA is a 4.04 FIP, mainly the product of a high HR/9 rate of 1.3. Nola kept the ball in the minor-league yards, so there’s reason to believe he’ll figure it out in the majors, but Citizen’s Bandbox is notoriously unforgiving of hanging curves. The one down side of Nola’s quick ascent to the majors is that he didn’t have time to develop a changeup. The good news is that, given the Phillies dilapidated state, his next 150 innings will be low leverage. Not nearly as prospect-y as Nola, Eickhoff is former 15th rounder acquired by the Phillies in the Cole Hamels trade. (So that makes 4 guys on this list who were obtained by trade. Perhaps reports of the death of the prospect trade have been somewhat exaggerated.) Like McCullers and Anderson, Eickhoff is beating his minor league rate stats in the majors, but, as with Anderson, some of this may simply be fruits of the dreaded small sample size. It may be reasonable to expect strikeout regression, but at least Eickhoff gives some hope to Phillies fans who wake up with night sweats after witnessing serial arsonists like Jerome Williams, David Buchanan, and Sean O’Sullivan. Nola and Eickhoff are the only two current Phillies starters with a bWAR over 1.0. Okay, Osuna was only 16, so maybe this isn’t entirely fair – he threw just 19 2/3 innings in the Mexican League in 2011 before being acquired by the Blue Jays in August. But it’s highly unlikely that you would have predicted in 2011 that of the pitchers on this list, Roberto Osuna would make the most significant contribution to the Blue Jays in 2015 unless you are a close relative of Roberto Osuna. No Carson Smith he, Osuna cooks with 95.5 mph gas, and has never struck out fewer than 9 per 9 at any level since 2011. And he’s only 20. A tough case of an obviously talented pitcher badly needed on a contending team, but who also probably could have used a bit more work in the minors. His ERA (2.89) is shiny, but his FIP (4.37) is less impressive. This mainly stems from the relatively high walk rate (3.2 – the AL average is 2.6), and a slightly high homer rate (1.3 – the AL average is 1.1). On the bright side, eight of his eleven starts were quality, with only one being of the faux (6 IP, 3 R) variety. That start came against the deadly Jays lineup, who incinerated him the next time he faced them, but did little against him the third and final time. In short, he fought the best lineup since vitamin B-12 to a draw; a mighty impressive accomplishment for someone who has yet to log 100 innings at any one level. Still only 21, Severino has a better chance than anyone on this list of developing into a #1 starter (with the possible exception of McCullers) but Yankees fans should probably temper their expectations slightly for the immediate future. Girardi deserves credit for careful usage (just two starts over 100 pitches, none over 107), and this plan should probably continue until Severino can more consistently minimize the Two Bad Outcomes. Acquired in a trade … what, that’s like 5 now, right? … from the Dodgers in exchange for Howie Kendrick, Heaney righted the ship this year after an ugly 2013 in Loria Land, largely the product of bad home-run luck. His 8.9 K/9 in the minors has shriveled to just 6.5 in the majors, and he’s been a fly-ball pitcher this year, so there could be some risk here that the homer bug will return. Heaney has the amazing Mike Trout in center, so as long as the flies stay in the yard, a lot of them will be outs.